Last destination of the 3rd day of the Trip in Barcelona, we take a cable car up to the highest point of Poble Espanyol, on the mountain of Montjuïc, Barcelona. From here you can experience the beautiful landscape of Port of Barcelona and also the view of the whole City of Barcelona. The Poble Espanyol is an outdoor open-air architectural museum located on the mountain of Montjuïc in the city of Barcelona, Spain. It was constructed in 1929 for the Barcelona International Exhibition that was held in Barcelona that year. Josep Puig i Cadafalch was the one who had the idea for the museum: a town in which the architecture, style, and culture of various locations from all around Spain were all preserved in a single place. The aim was to give an idea of what might be an “ideal model” of a Spanish village containing the main characteristics of all towns and villages in the peninsula. For this reason, 117 buildings, streets and squares were reproduced to scale. Pieces were selected taking into account criteria of aesthetic fit that could help create a harmonious overall composition in accordance with the “village” design that had been conceived. 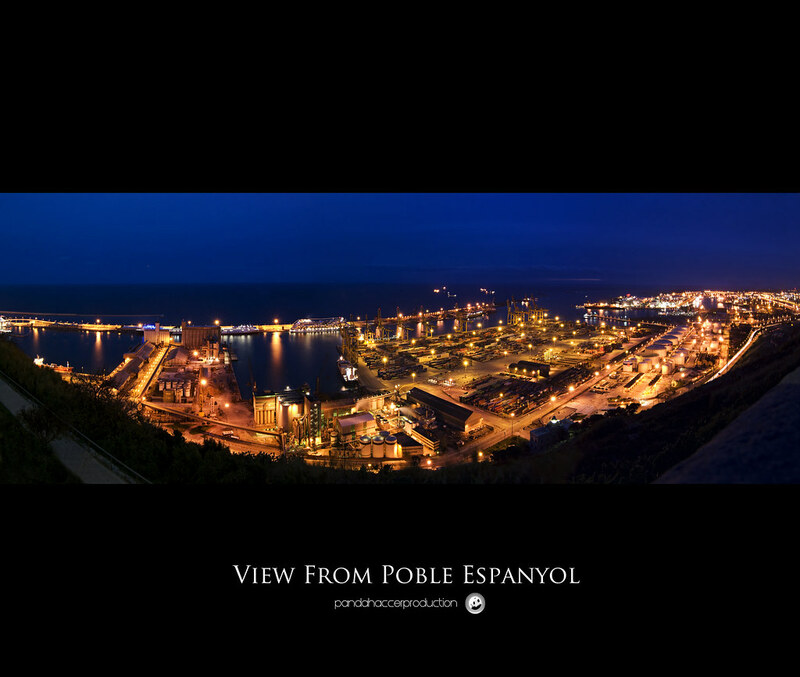 About the picture above, it’s a panorama shot merged from 3 horizontal shots. Shots were captured by 30s shutter speed. 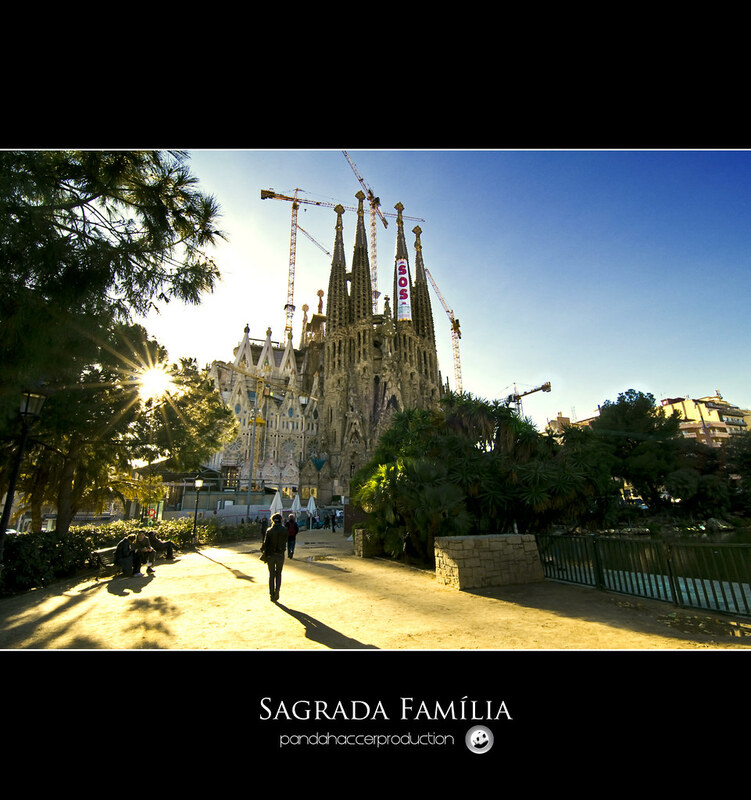 On the same day, after visited Park Güell, we headed to Sagrada Familia. Sagrada Familia is a massive, privately-funded Roman Catholic church that has been under construction in Barcelona, Catalonia, Spain since 1882 and is not expected to be complete until at least 2026, the 100th anniversary of Gaudí’s death. Considered the master-work of renowned Catalan architect Antoni Gaudí (1852–1926), the project’s vast scale and idiosyncratic design have made it one of Barcelona’s and Spain’s top tourist attractions for many years. The unique about Sagrada Familia is that the construction on Sagrada Família is not supported by any government or official church sources. Private patrons funded the initial stages. Money from tickets purchased by tourists is now used to pay for the work, and private donations are accepted through the Friends of the Temple. 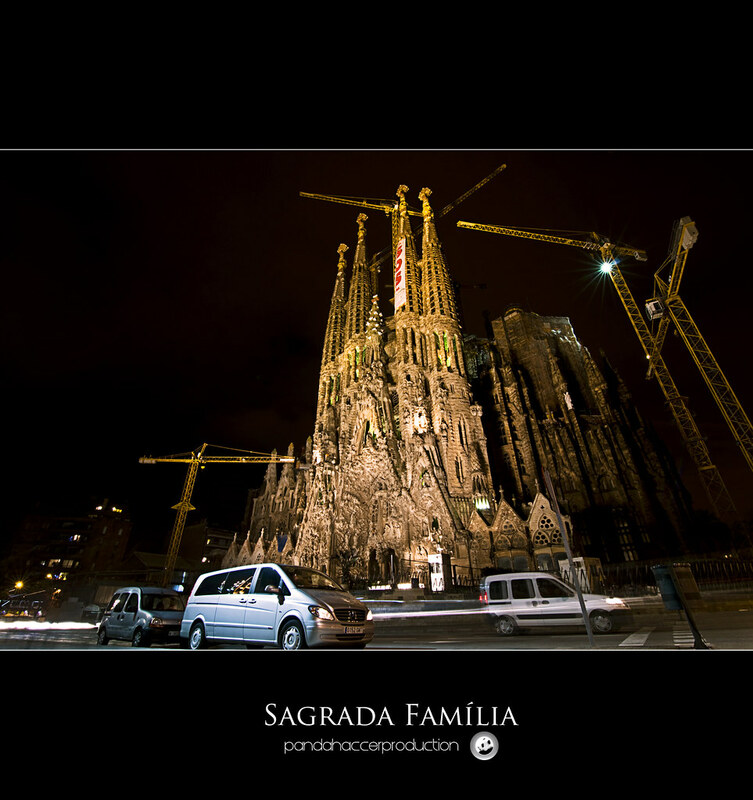 Recently, the Ministry of Public Works of Spain has projected the construction of a tunnel for the high speed train just under where the principal façade of the temple has to be built, that’s why there are lots of SOS banners around the Towers of Sagrada Familia. Although the ministry claims that the project poses no risk to the church, the engineers and architects of the temple disagree as there is no guarantee that the tunnel will not affect the stability of the building.